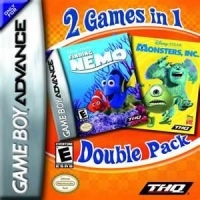 03-18-2019 silverbow Alt-Name Finding Nemo / Monsters, Inc.
03-18-2019 silverbow Name 2 Games in 1 Double Pack: Finding Nemo / Monsters, Inc. This is a list of VGCollect users who have 2 Games in 1 Double Pack: Finding Nemo / Monsters, Inc. in their Collection. This is a list of VGCollect users who have 2 Games in 1 Double Pack: Finding Nemo / Monsters, Inc. in their Sell List. This is a list of VGCollect users who have 2 Games in 1 Double Pack: Finding Nemo / Monsters, Inc. in their Wish List.